All Genuine Jaguar Parts are manufactured to the same specification as those originally fitted in your Jaguar. Which means when you buy genuine Jaguar part, you can be assured that you are buying the result of rigorous design, development and testing. Every Jaguar deserves Genuine Jaguar Parts. To ensure your driving experience remains just as exhilarating throughout the life of your car, insist on parts that exhibit the same uncompromising design and engineering that goes into our cars. To support our range of luxury sedans and sports cars, approximately 69,000 Genuine Parts are available from Wilde Jaguar Sarasota. What parts do we offer? Where can you buy Genuine Jaguar Parts? 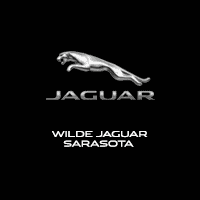 All Jaguar Genuine Parts can be obtained through Wilde Jaguar Sarasota. We can help you choose the correct part, place the order and arrange delivery. For more information, including pricing details, please use our Parts Request Form or call our Parts Department at (941) 932-4191.